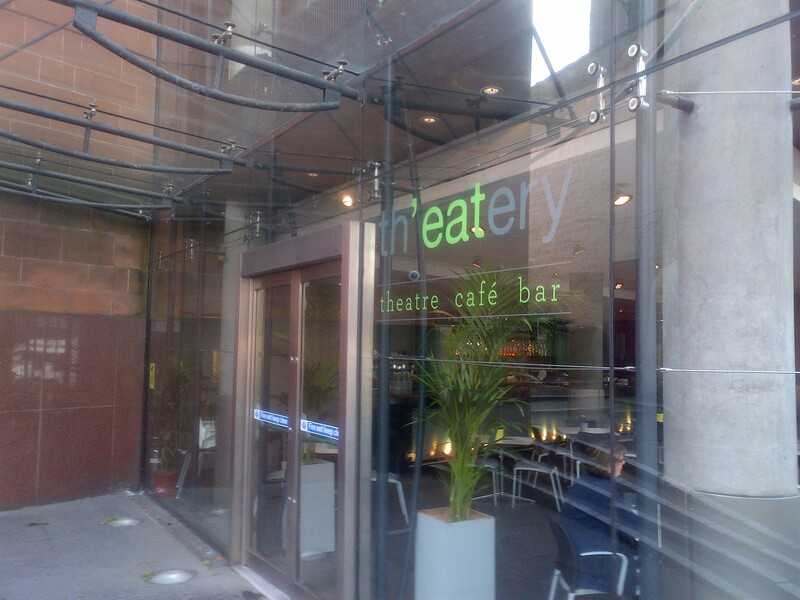 I was sad to hear of the demise of Cafe Lucia, the cafe at the Festival Theatre, particularly as I’d really enjoyed their hot smoked salmon sandwich, on my visit. I was intrigued that the folks behind the much vaunted Jupiter Artland cafe had taken on running the place, though, so popped along for a visit, in their first week of business. The place has had a little refresh and rebrand, but remains largely the same. It’s smart and airy, with welcoming and warm service. 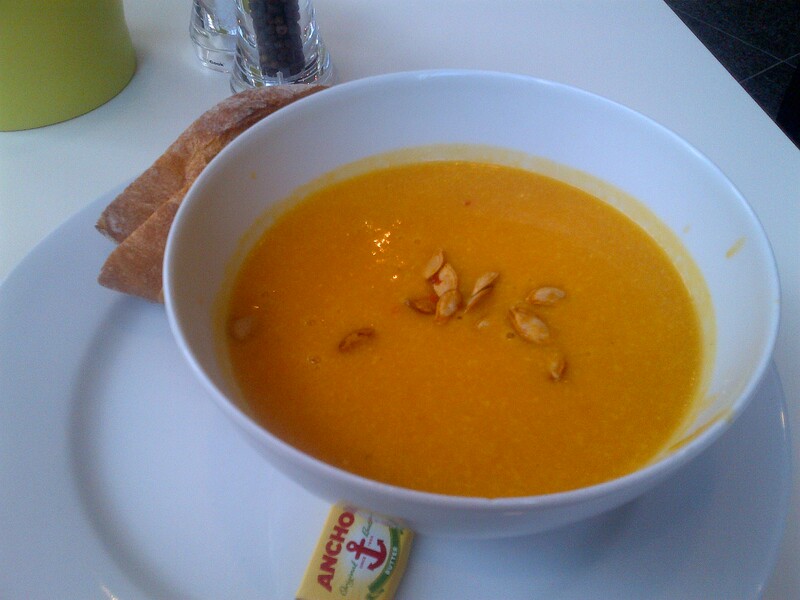 Where the previous place was much more of a soup and sandwich purveyor, the options here are more wide-ranging. They have daily changing soups, salads, sandwiches, and quiches, but also a substantial dish of the day, which today was shin of beef. This sits next to burgers (caveated as requiring a 20 minute wait for the dish to be served), and big sharing platters for 2-3 people. I kept things simple opting for soup, which was carrot, butternut squash and chilli, to be followed by a tasty sounding salad of sweet potato, beetroot and goat’s cheese. The soup looked bonnie when it arrived, accompanied with three good slices of bread. It was very good, although there was a lack of punchy heat from the chilli, and the seeds that formed the topping required a little more toasting. The main course was equally eye-catching. 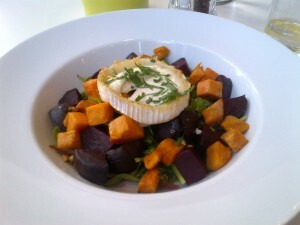 It was crammed with sweet potato and beetroot chunks, then topped with a well toasted round of goat’s cheese, with a good sprinkling of pine nuts mixed in with the fresh green leaf bed. It was as good a salad as I’ve been served all year, with a well-judged balance of sweet, intense savoury, and sharpness. I was highly impressed. So overall, Th’eatery is a great new addition to the lunchtime circuit. I look forward to trying one of their meaty main courses, on my next visit, as I suspect the quality will be very high. I’d highly recommend that you pay the place a visit, at your earliest convenient opportunity.